Our product range includes a wide range of ht apfc panels, automatic harmonic power factor correction panel, real time power factor correction panel and automotive power factor correction panel. We are the leading supplier of HT APFC Panels made available to our clients at competitive prices. Minimum 1800 Volt peak. 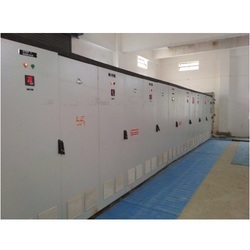 Every thyristor switch should be capable of handling the DV/DT of 2000 Volts/ S.
Differential voltage tolerance shall not exceed 6 Volts peak value around zero. The range of milliseconds. 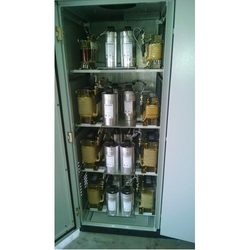 There should not be any discharge devices across the capacitor that can exceed the watt loss of more than 30 watts. 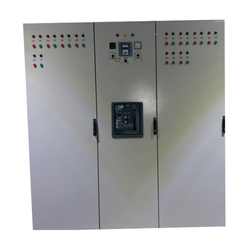 APFC panel is a system integrated with CRCA sheet enclosure with powder coated, fully wired with self healing MPP capacitors, capacitor duty contactors,capacitor fan, APFCR, all switch gears, with IP protection, busbar - AL/CU with IEC STD. 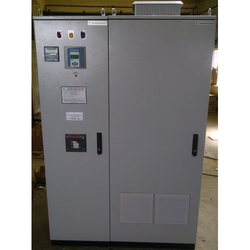 Looking for Automatic Power Factor Correction Panel ?